The new 5th Edition of “Big Trees of Delaware” contains full-color photographs of the biggest trees of each species in Delaware as well illustrations of leaf shapes to help readers better identify trees as they travel throughout the First State. Publication of the book was made possible by a grant from the Delaware Forest Service’s Urban and Community Forestry Program! 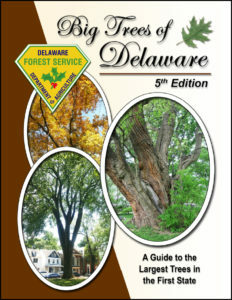 Download a PDF of “Big Trees of Delaware, 5th Edition” or click on the image on the right. 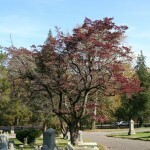 Use the links in the lower right sidebar (Conifers and Hardwoods) to explore many of Delaware’s wonderful trees!